Official Alice in wonderland posters. Four new Alice in Wonderland fonds d’écran have been released online. Featuring March Hare, the White Rabbit, the Dormouse, and the Chesire Cat. I personally l’amour the Chesire Cat. He looks cute. Click on the image to enlarge.. HD Wallpaper and background images in the Alice au Pays des Merveilles (2010) club tagged: alice in wonderland wallpapers posters. 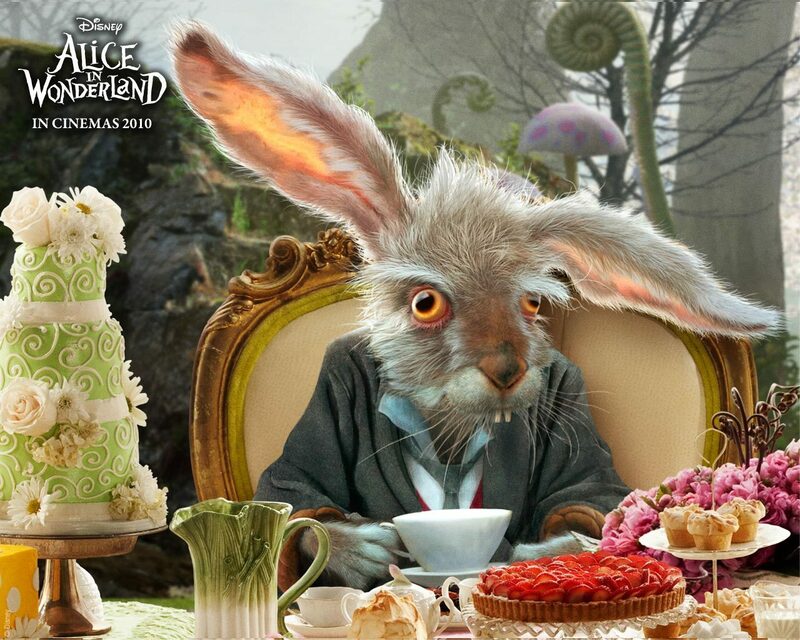 This Alice au Pays des Merveilles (2010) wallpaper might contain bouquet, corsage, posy, nosegay, dîner de vacances, and repas de fête. Why it has to be CGIed? WHY?!?!? !